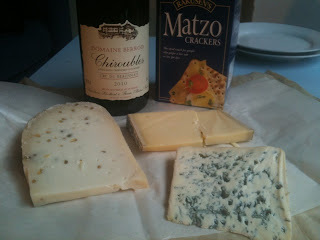 May 04, 2012 by Aoife in "Chiroubles", "Co.Kerry", "Hallisseys", "Kenmare", "The Truffle Pig", "The Vanilla Grape", "bleu d'auvergne", "comte cheese"
A very simple, humble supper of cheese and wine - the setting is breathtaking. 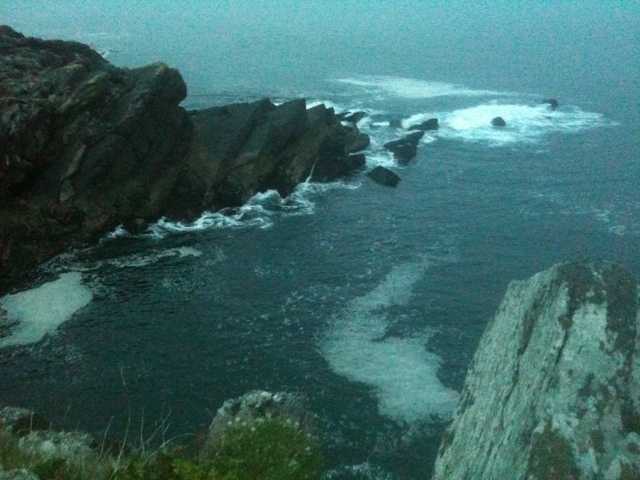 A stone cottage towards the end of Bolas head, Ballinskelligs, Co. Kerry. We walked to the top of Bolas head earlier to fill our lungs with fresh, salty, sea air and now back at the cottage by the fire we fill our bellies. Re-tracing my childhood memories yesterday we jaunted to Kenmare town - it was more beautiful than I remembered - although it has been 20 years! Some of it remained the same, but the food culture had well, let's say become multi-cultural. We ate lunch in The Bakery Vegetarian Cafe, it's owner is a half Isreali/ half Irish woman with staff from France, Germany and Spain. Taking a stroll down Henry St was a little like a magical mystery tour. A great little healthfood shop The Pantry, http://www.kenmare.eu/thepantry/ , a brilliant hardware store called Hallisseys, with amazingly good value in the kitchen section - where amongst other things I bought a giant wooden spoon for €5.50! We sniffed our way into The Truffle Pig, http://www.trufflepigkenmare.com/ a cafe/deli which offers a small but tasty and tempting variety of cheeses and meats, as well as handmade chocolates, cakes, savoury snacks and mains. We got some chocolates and cheeses... Comte and Bleu D'Auvergne. The view from the cottage...aaaahh sigh! Sometimes the simplest of meals offers the most satisfaction - especially after a hard slog up and down a big hill! 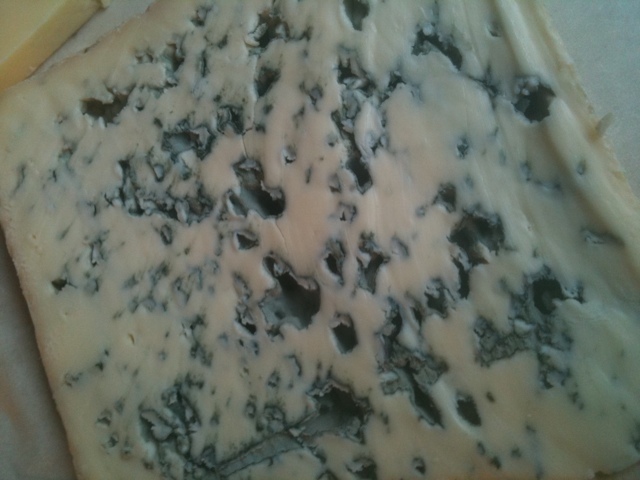 "Chiroubles", "Co.Kerry", "Hallisseys", "Kenmare", "The Truffle Pig", "The Vanilla Grape", "bleu d'auvergne", "comte cheese"